I was delighted to receive this book unexpectedly a few weeks ago. The picture doesn’t do the beautiful cover justice with its gold embossing. 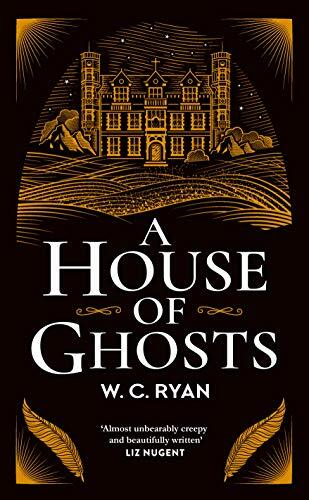 With the promise of ghosts, it seemed the perfect book to read when we were away for a week’s holiday in a converted Church in Perthshire over half-term. If you can’t sense the presence of spirits and lost souls in an old Church, then where can you? A House of Ghosts takes place in 1917 on an island off the coast of Devon, in a stately home, Blackwater Abbey, which was once a monastery. Lord Highmount has invited a strange assortment of people to his home for a few days. There is a doctor, two mediums, members of the aristocracy, a butler, a shell shocked soldier and, as it turns out, government workers with an agenda to uncover some hidden secrets. Chief among the reasons for inviting these people is to hold a seance to try to communicate with his two sons who have died during The Great War. So many families were touched by loss during WW1 and frequently with no firm evidence to say what had happened to their relatives, just the dreaded words ‘missing in action’. I can understand why so many people were desperate to believe they could contact their loved ones. It was interesting to read about the doctor’s theory that concussion and shell shock opens the mind to spirits of the dead. I’m not sure if this was a theory circulating at the time but can understand why people would believe it. When the weather closes in effectively trapping everyone on the island and phone lines not working, this quickly became a closed room type of mystery. With mysterious happenings, secret passageways around the house, possible contact with the spirit world, and eventually a death, it is a murder mystery with a difference. The style and atmosphere of the book put me in mind of an Agatha Christie book but with added ghosts. I half expected Inspector Poirot to pop up! With red herrings, misdirection, twists and revelations, this book is a perfect read for this spooky time of year with darker nights as the clocks are about to change and Halloween just around the corner. W. C. Ryan is also known as William Ryan, author of The Constant Soldier and the Korolev series of historical crime novels. 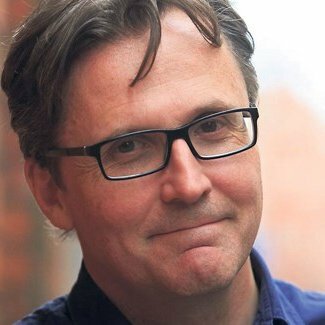 His books have been shortlisted for numerous awards, including the CWA’s Steel, Historical and New Blood Daggers, the Irish Fiction Award and the Theakston’s Crime Novel of the Year, as well as being published in 18 countries. William lives in London and teaches creative writing at City University. It’s a real classic mystery Joanne isn’t it? Great review as always!